To let: 1 x 102 sqm unit with a mix of office and storage space. The unit is fitted with a roller shutter door. The asking rental is R8500-00 Ex Vat per month. 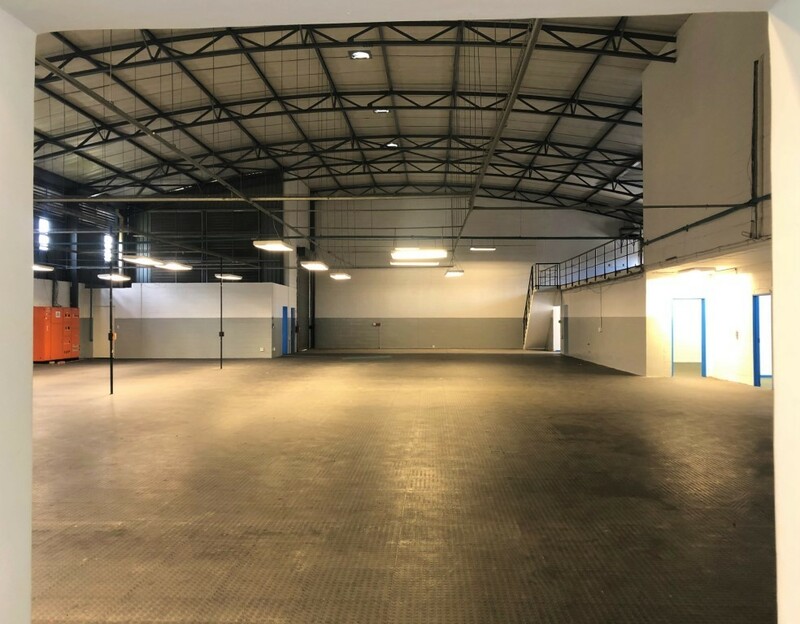 Platinum Junction Business Park offers office, storage, warehousing and distribution space and facilities for tenants and commercial industrial property investors and owner occupiers in Marconi Beam, Milnerton Cape Town. Platinum Junction has a range of office and light industrial, mixed-use units to suit most types of businesses. The business park consists of 160 individual units, each measuring 102 square meters , which be combined if necessary. The business park has two access controlled entrances, one on School Street in Milnerton and the other on Platinum Road in Milnerton/Marconi Beam or Montague Gardens. Platinum Junction is guarded on a 24 hour basis and the entire park is secured with an electrified steel fence. Axis CCTV cameras adds an additional layer of security. Platinum Junction is popular with tenants, owner-occupiers and commercial and industrial property investors. Milnerton is central to the whole Cape Town region and enjoys easy access to the major road networks, the N1, M5, N7 and N2. Milnerton enjoys direct access to the N1 highway and it can also be reached via Bosmansdam Road & Koeberg Road, which link through to the M5 and the N7 regional road network. Platinum Junction is a smart park in that there is a fibre communications backbone throughout the park. Platinum Junction is a sectional title business park.